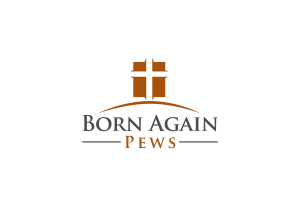 At Born Again Pews, we custom build each piece of church furniture we make, from church pews to pulpits to communion tables. Every piece of church furniture we make is built right here in Oklahoma and then delivered and installed in your sanctuary so we can be sure that it fits perfectly and suits your church perfectly. When you buy mass manufactured church furniture of any kind, including church pews, chairs, or pulpits, the pew manufacturer’s focus is on producing a large quantity of furniture and selling it to as many places as they can. Naturally, anything that is designed to suit as many people as possible won’t suit you in particular as well as something designed specially for your needs. Although machines have come a long way, they still make mistakes and when people make hundreds of pieces of furniture a day, they start to lose focus on the details of their projects. We focus on each individual pew, one at a time, ensuring that they’re good enough for the Lord’s house. We believe that our work is a reflection of our faith—if we hurry through building church furniture and do a bad job, we’re not being good Christians. If you’d like to find out more about our building processes and how we make church pews, call one of our church pew specialists.